It happens several times a year. Cheryl tells me that she is very concerned about protecting the house and a tract of land, as well as about $150,000 “in case I need to go into a nursing home like Ron.” Cheryl also tells me she is not in good health. You see, the Medicaid rules are structured such that it is MUCH easier for a married couple to undertake asset protection planning than for a single person (for example, a widow). It doesn’t mean the single person is out of luck, but it does mean he or she doesn’t have as many options as a married couple. Of course, I feel for Cheryl. She simply didn’t know. But now YOU do. 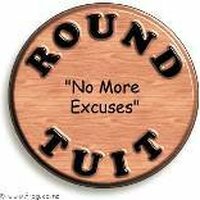 It is tempting to treat a lawyer (and a dentist) as a “round tuit.” Human nature, I guess. But RESIST the urge. Time is your friend if you use it wisely. PS We’re seeing clients in BOTH Charlotte and Asheboro (hint, hint). Would having everything in a joint trust, prior to either passing, be the best way to protect everything? Well . . . it depends. I use both depending on the facts. I do have a technique I’ve developed that starts off with revocable trusts (either joint or separate) and then protects EVERYTHING immediately upon the death of the first spouse. It needs to be “wired up” correctly, though, and rarely do folks show up in my conference room with it correctly done. The point of my post is that there are more planning opportunities for married couples than for single folks.